Some of Chris Potter’s best recordings are by the group he calls Underground, with Craig Taborn on Fender Rhodes, Adam Rogers on guitar and Nate Smith on drums. His new album introduces an expanded version of the Underground quartet. It adds Steve Nelson (vibes and marimba), Scott Colley (bass), Fima Ephron (bass guitar) and a string quartet with Mark Feldman, Joyce Hammann, Lois Martin and David Eggar. 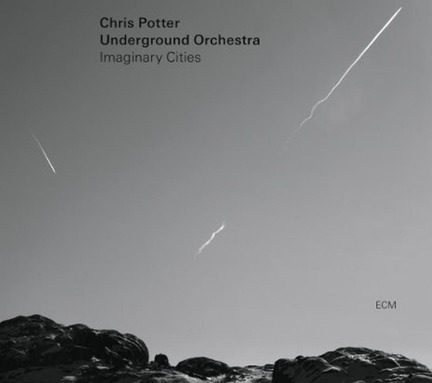 Imaginary Cities is a breakthrough for Potter as composer, arranger and conceptualist. The title piece, a four-movement suite, portrays Potter’s “non-specific utopian ideas” about what modern urban life might be. Its richness and depth are stunning. He manipulates 11 voices (seven of which are stringed instruments) into complex textures and contemplative moods (“Compassion”), or releases them into furious motion (“Dualities”). 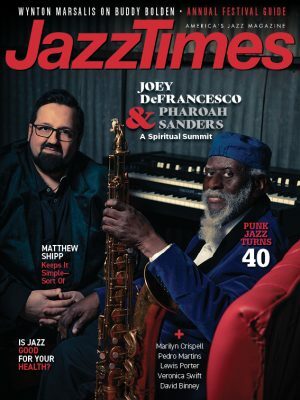 The shriek of his soprano saxophone renders the crisis of “Disintegration,” but the brooding violins make the story more poignant than turbulent. Themes evolve and recur across 36 minutes like haunted thoughts. The suite is an organic whole. A four-note motif like a call of hope is introduced in the first movement by the violins and Potter’s tenor saxophone. After flowing through many corollary forms, it returns forcefully at the end of the fourth movement and completes the arc. The suite also provides unprecedented inspiration for Potter the soloist. He has never played on record with more focus and power. On “Compassion,” his progress from notated clarity to wild catharsis is wrenching. Rogers and Nelson, in their infrequent, vivid solo statements, enlarge the emotional domain of Potter’s work. The other half of the album is four strong new compositions. “Shadow Self” sounds like a Bartók string quartet welded to a jazz septet. “Lament” and “Sky” are extended testimonies that begin as ballads and intensify, sending Potter soaring. Taborn’s best moment comes on “Sky.” He barely touches it, slowing it almost to a stop, then flies away with it, heavenward. Listen to or download this album at iTunes.